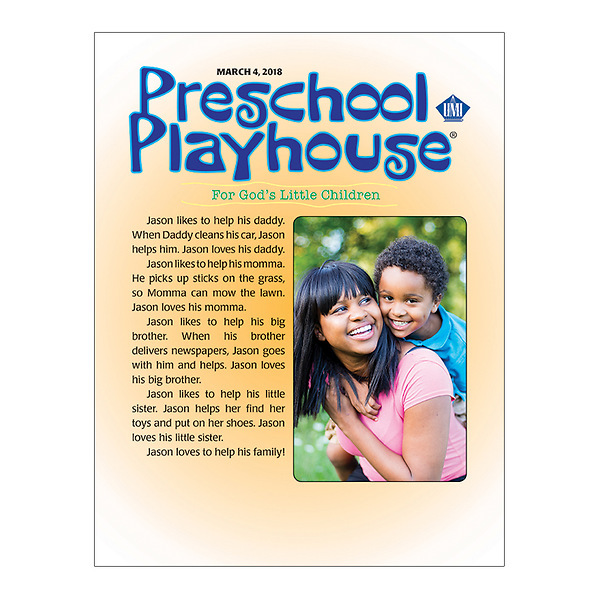 Preschool Playhouse student folders fill the open hearts and minds of youngsters ages 2-5 with a clear understanding of Jesus' role in their lives. 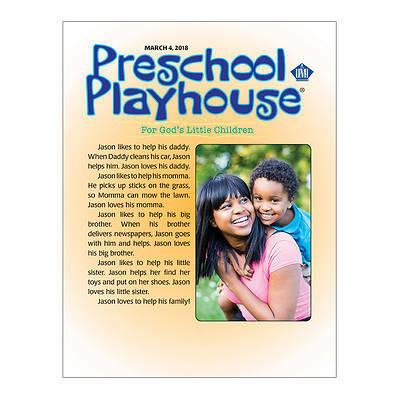 Designed in an easy-to-use nested folder format, Preschool Playhouse includes 13 weekly lesson worksheets that offer a simple Bible story, a contemporary story, fun activities, and tips for parents to become more involved in their child’s spiritual formation. Like all UMI curriculum, Preschool Playhouse is based on the International Uniform Lesson Series.